In what could become a serious health risk, palcohol (alcohol in a powdered form) could soon be available for Australian children and teenagers to buy online. From June, palcohol will be available for sale online in the United States. This means that underage Australian’s will be able to purchase it over the internet with relative ease and have it shipped directly to their homes. 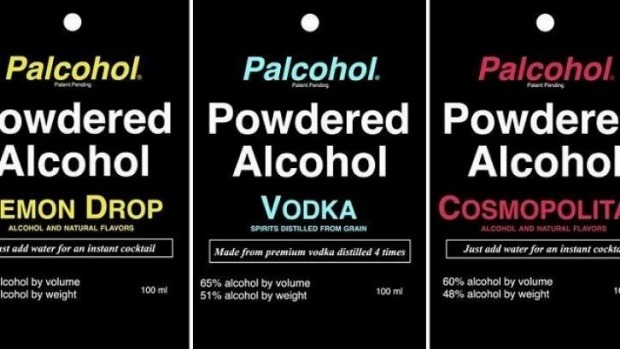 Palcohol will be sold in 28g sachets and can be mixed with water, juice or soft drink and will be available in vodka, rum and cocktail flavours. According to Tabitha Corser, a Perth based drug and alcohol rehabilitation counsellor, palcohol represents a very serious risk to “fuelling a culture of binge drinking”. She believes that palcohol will be particularly attractive to teenagers due to the ease which it can be concealed and taken into parties, as well as being seen as a fun party game to add multiple sachets to one glass. Ms Corser is concerned that palcohol will lead to an increase in drink spiking as it would be easy to add an extra sachet to a drink without anyone noticing. In addition, the ability to add multiple sachets to a glass could lead to increased cases of alcohol poisoning. Underage drinking is becoming a huge cultural issue within Australia with over 80% of teenagers admitting to having used alcohol by the time they are 14, and 1 in 5 binge drinking on a weekly basis. Ms Corser warns underage drinking can lead to serious health issues, including memory loss, reduced emotional and physical control as well as damage to the still developing brain. The major concern with palcohol is that it is difficult to control access to once it is available over the internet. Teenagers with access to a credit card will be able to purchase palcohol by stating that they are of legal age. Ms Corser recommends that the Australian state and federal governments act immediately to ban palcohol and restrict the ability of underage Australian’s to purchase it online. She also advocates for increased parental education of the issues relating to excessive alcohol consumption. What do you think should be done about palcohol in Australia? Do you think it should be banned or should tougher restrictions be put in place to limit access to it?